Independence Day is approaching. As is tradition, the ‘Antorcha de la Independencia’ (Independence Torch) each year makes its way from Guatemala to Costa Rica, ending its journey through Central America in Cartago on September 15. 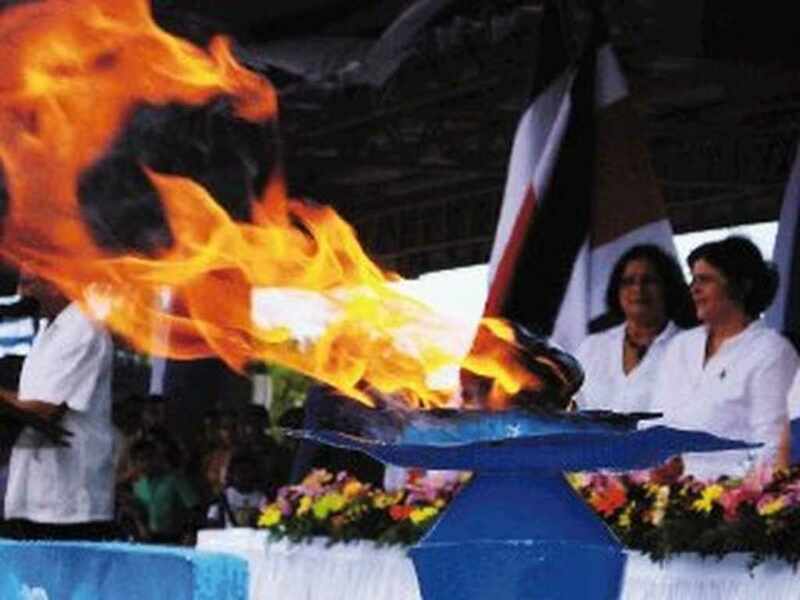 Each year Costa Rica and Nicaragua alternate traditional ceremonies in the transfer of the Independence Torch. This year it is Nicaragua’s turn. And as is tradition, on each Sept. 13 the torch will be passed on from students in Nicaragua to waiting students from Costa Rica. The celebrations are alternated, this year it’s Nicaragua’s turn. But this year. There will be no artistic participation of Costa Rican students on Nicaraguan soil. This year, the Independence Torch will be received on the other side of the Peñas Blancas border with a “small and simple” act. The anthem of Costa Rica will be sung, but there will be no typical dances, Costa Rican cultural events, speeches, or a lunch as always. “The Nicaraguan Public Education Minister (Miriam Raudez) will participate in the activity. Only the hymns of each country will be sung, there will be a dance by a group of Nicaraguan students and that’s it. There will be no artistic participation of Costa Rican students, nor Costa Rican musical performances,” explained the press department of Costa Rica’s Ministry of Public Education (MEP). 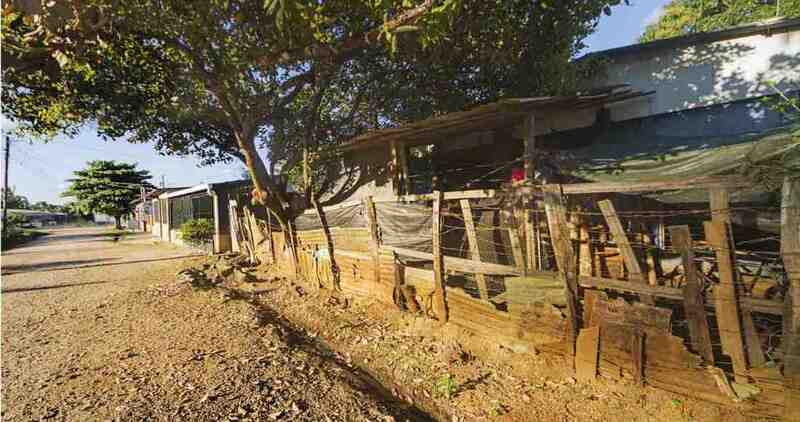 The MEP informed Nicaraguan authorities that a big act was not going to be for budgetary reasons; However, this decision of the MEP coincides with the socio-political crisis that the neighboring nation is experiencing since mid-April. 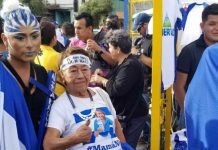 “This year the participation of the Ministry of Public Education (MEP) (in Nicaragua) will be limited to a small and simple act on Nicaraguan soil to receive the flame. 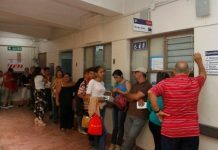 In that activity (scheduled for 8:50 am) participating will the Minister of Education, Edgar Mora and a delegation of 15 students from the Integrated Center for Adult Education (Cindea),” explained the MEP in a statement. After that activity, in La Cruz, Guanacaste, the MEP is planning a reception of the torch with students from the area. Afterwards, the torch will continue its traditional route on Tico (Costa Rican) soil. The route of the flame, from the border with Nicaragua at Peñas Blancas to Cartago, will be 378 kilometers and will have the participation of some 20,000 students. This year makes the 197th anniversary of Independence. The MEP is celebrating the even under the Independence motto: Freedom, responsibility and joy. Next articleOne Fixed, One To Go. A “Platina” Once Again Plays Havoc On The Country’s Main Road.